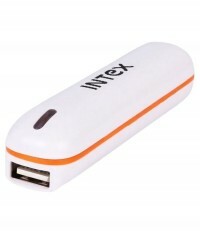 The Intex PB-22 2200 mAh Power Bank has a battery with 2200 mAh capacity. It provides charging time of AC Adaptor Charging, USB Charging. Over that, it has 1 USB port/s and power output of 5 V.